Crystals have been used for tens of thousands of years, dating back to Lemuria and Atlantis. Crystals work through vibration; repairing the auric field that surrounds and interpenetrates the physical body; thus activating, cleansing, and balancing the energy centres in the body called chakras. Crystals also have the ability to move and transform energy. 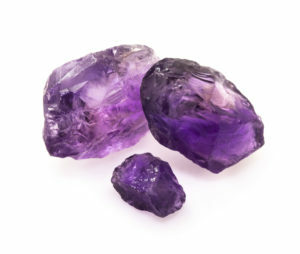 Just as crystals are used in radios, televisions, and computers to contain the flow of electric energy, so they are capable of assisting the human body. Each of our cells has a small electrical charge that makes us a moving mass of energy connected to and interacting with the energy that surrounds us. What we think and feel is transmitted along our vast electrical network of nerve cells. Imbalance in the vibrations from the cells of our bodies can lead to disease or illness and crystals work to correct these imbalances through merging with the liquid crystalline structure of our body; this can happen on many levels of our auric bodies; physical, emotional, mental and spiritual. As everything in the universe is made up of energy and everything has a vibrational frequency, such as sound, thoughts, feelings, colour, food etc. each crystal carries its own unique vibration and metaphysical property. When guided by our intention we can implement profound changes to many aspects of our lives. For example, on a physical level, if we want to relieve a headache all we need to do is to place an Amethyst on the forehead and the excess energy will be absorbed into the crystal. If you want to receive extra energy we can apply clear quartz to any part of the part that is feeling depleted. Crystals also work on an emotional level and can relieve sadness and depression by instilling a high uplifting frequency to our emotional body or they may work on a mental level by assisting us to finding logical solutions to problems and make better choices. When crystals work with our spiritual body we can receive insights and clarity that can guide us on our life journey. As always, there are no limitations to what we can achieve when we place our attention and intention into anything we do and crystals are no exception! Interested in learning more about crystal and how to apply them to yourself, family, friends, others and animals? 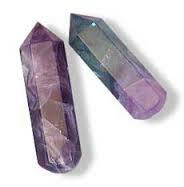 Why not enrol on our 3 day Crystal Healing and Metaphysics Certification course?